St. Joseph’s hold nerve to successfully defend 2-day title! By Roscoe Thattil – Courtesy of The Pappare. 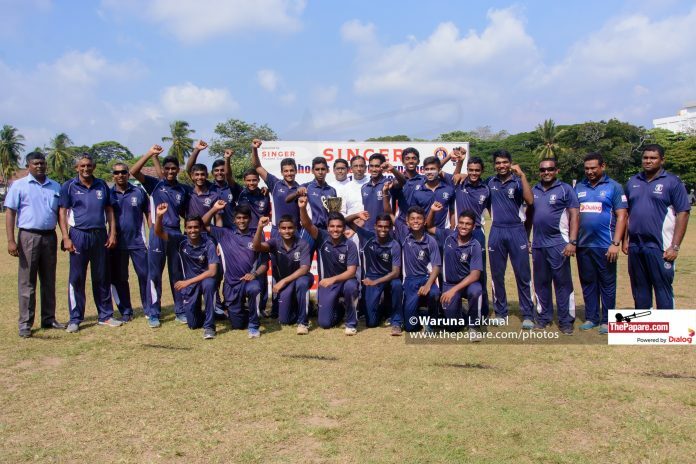 St. Joseph’s went on to successfully defend their Singer Schools U19 Division 1 Two Day title, overcoming the tricky 97 run deficit they faced coming in , to claim 1st innings points against S. Thomas’ College. Resuming 120/4 at the Royal College grounds in Colombo, the Josephians lost their batting mainstay Dineth Jayakody 44, when he edged behind, looking to drive away from the body. 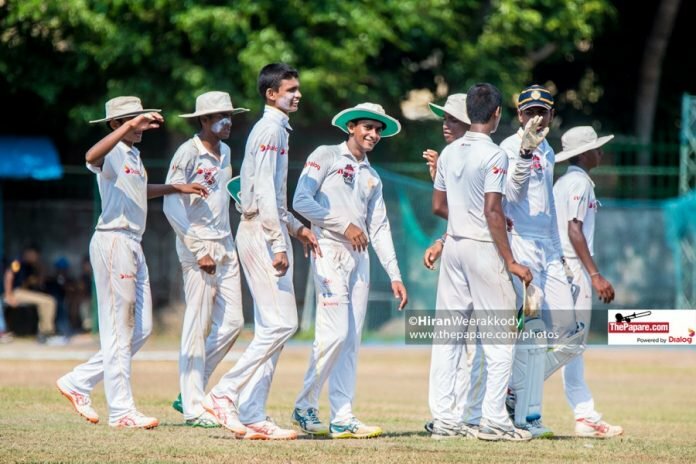 But a stubborn sixth wicket stand of 62 runs between Dunith Wellalage and Sachintha Mahindasinghe got the Josephians back on track, before the latter fell for 34 runs – ending his school career after three years of 1st XI cricket. though continued to provide stubborn resistance as he made sure the Josephians went past the Thomian first innings score along with Lakshan Gamage for company. who ended up as runners up also clinched the U19 Division 1 Limited Over Tournament when they beat Richmond college a couple of days back.